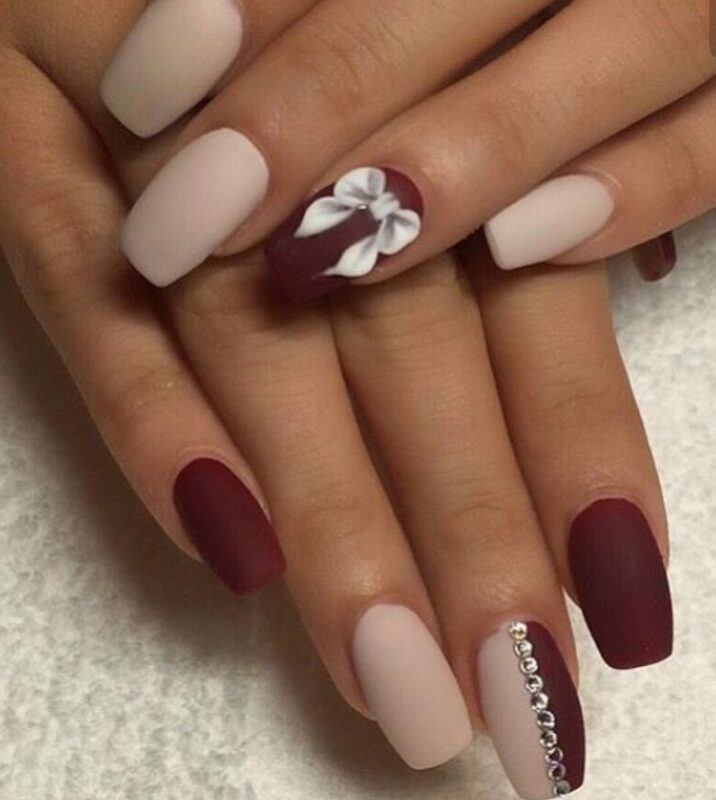 Every woman loves a good maroon color nail design. This burned hot red color is perfect for an elegant night out, prom’s, business meeting; you name it! Everyone will love seeing this color on you no matter if it is in a shape of a nail color, dress, clutch bag or just earrings. If you are ready to put some class and sass into your designs then keep on reading. Women all around the world and all different ages will have a blast with our maroon color nail designs. The best part is that you can have these nails super casual, or super formal. It is all about the gemstones, sparkles and the length of the nails. If you like to tone everything down here is your nail design. Super short and natural maroon nails will look stunning on you. Why not switch up your fake nails with something that is yours and that is natural? Get yourself shellac or regular gel and have a blast. If coffin nail shape is your favorite one, why not get it on your nails? Match it with this beautiful and irresistible maroon color and enjoy your long and fierce looking manicure. When creating a maroon nail polish it is all about the details. 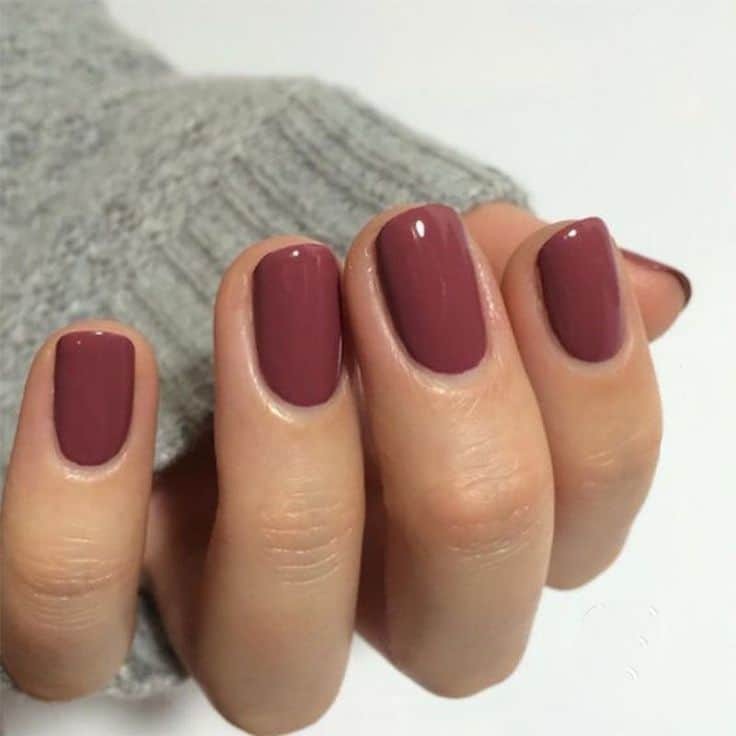 Hot burgundy color with some beige elements will make your nails pop so easily. You can even add this little 3D art bow and these little gemstones. This manicure will definitely transform your nails and make them look so princessy. Women love glittery nails more than you can imagine. In fact, they love anything that has got sequin in it. Little sparkly dresses, bags, manicures, shoes you name it and they will love it! If you are an attention seeker then seek some certified nail techs and get this manicure. The metallic finish is something you can’t get at home. The metallic nail polishes when done at home often end up looking streaky and flaky. 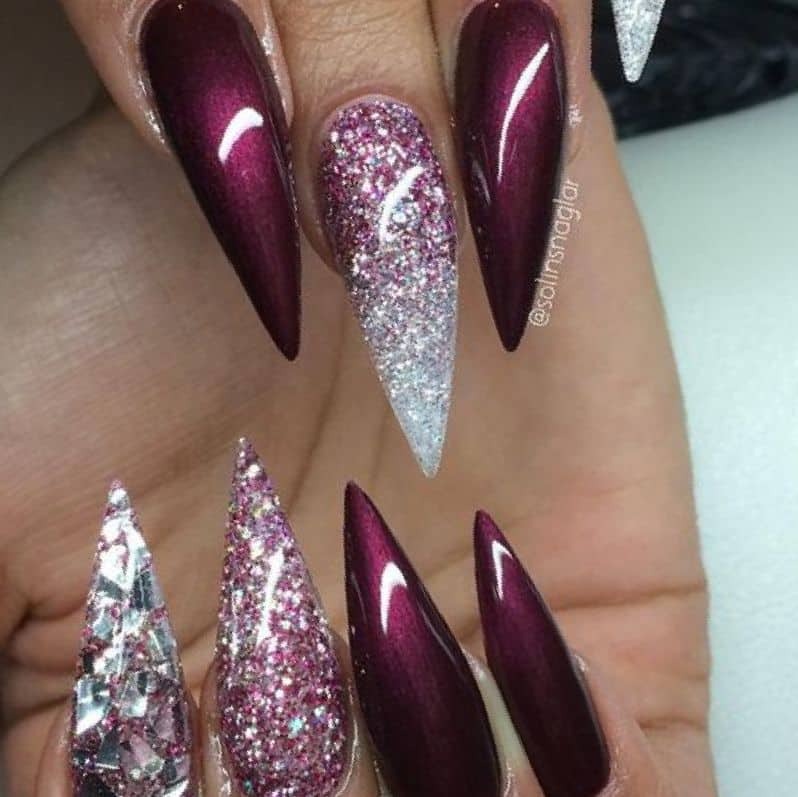 That is why this type of a maroon nail design should be done at a salon. You will save yourself from a headache, you will save a lot of time and you will end up with the chicest manicure. You shouldn’t ignore your feet and skip them when painting your nails. You can have a perfect manicure on your feet as well if you put some time into it. These maroon nails are perfect for the summer days when you can proudly show off your fingernails. If you prefer a glossy finish rather than a matte one; you can suit yourself. You can have naturally long and glossy nails which are perfect for the Autumn. This color will be worn a lot, so make sure you are also one of the girls who is going to slay this color. Dark cherry moments are also very Fall-like. Imagine having this nail color which you can match to your maroon scarf and a hot burgundy lipstick. Men love when women successfully match their outfits and accessories. Make sure you are one of those women this Fall. Perfect for a party, these maroon nails will just make you want to groove on a dance floor. Their coffin shape is so risky looking and men love it when you act like a little daredevil. Make sure you go to the right nail tech in order to fully enjoy this manicure. And last but not least, in case you are all about that pinky undertone, we got you. This manicure isn’t completely dark and maroon since it has got some pink undertones to it. It may be that your nail polish didn’t look like this in the bottle, but once you applied it you’ve noticed the difference. Always watch out for those undertones when buying your perfect nail polish. It might be the best for you to properly swatch it before you buy it. Are you hyped now? We bet you are because this list can get everyone excited and happy. What design is your favorite one out of these 10? Whichever one it is just make sure you have a proper picture when you’re at the salon. That is the only way you can be sure that you will get what you want.